You have all likely used malicious online seed generators when generating your seed. It looks like the owner of that website(s) decided to steal all of the victims' funds today, so we're seeing a bunch of panicked posts about stolen funds. 1. If the stolen transaction is still pending (it'll say "Pending" underneath the transaction in your wallet history), URGENTLY send your entire balance to an address in a different seed. You might need to use the CLI wallet in order to make this new transaction so that you can bypass the double spending prevention mechanism that's built into the GUI wallet. You need to get your new transaction confirmed before the stolen transaction is confirmed. 2. If the stolen transaction is confirmed (it'll say "Confirmed" underneath the transaction in your wallet history), unfortunately that IOTA is now gone forever. This is a terrible situation, but hopefully we can use this experience to inculcate safe seed generation practices. Please see the "Legal Action" addendum below for details on legal recourse. 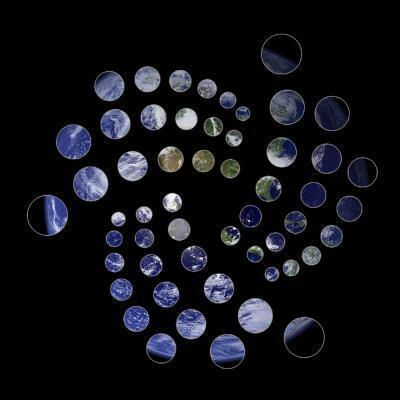 Legal Action: Since IOTA is an open-source software project, there's no central entity that has control over balances or permissions. However, this doesn't mean that there's no legal recourse if you were one of the unfortunate victims of this crime! I've already informally encouraged some victims to link up and explore taking legal action against the perpetrators of this theft. Even if you can just find one other victim who lives in your country, it would be smart to team up with them and attempt to navigate the legal process together. The more people who decide to take action, the better. Nobody is going to act on your behalf, and nothing will happen if everyone sits around waiting for something to happen. Please let me know if I can be of any help during this process by either posting here on the forum or messaging me in discord. This is a terrible situation and we can't believe that user bad practices are entirely at fault here. It is very bad practice that a wallet would not generate its own secure seed instead of requiring an external program to do this. Furthermore, to make users log in with their seed puts them at constant risk of key loggers and mistakenly pasting the seed into websites and chat windows. These things definitely need to be solved ASAP. Please stop pointing fingers at users as this is preventing critical modifications being added to the wallet and improving security and user experience. 2. If the stolen transaction is confirmed (it'll say "Confirmed" underneath the transaction in your wallet history), unfortunately that IOTA is now gone forever. This is a terrible situation, but hopefully we can use this experience to inculcate safe seed generation practices. I was not able to recover your @CTG720204 s funds because the transaction had already been confirmed. Or send me a private message as soon as possible. @fvantom I have send you a message with all informations I have. My account is empty!! why? i was last time in dezember on my wallet? Iota - i create my account with your seed generator!! 2-3 month ago! what is going on? this is your DOWNFALL. Make Snapshot back.. 5 Day. Restart the Tangel! I'm sorry to say that the funds are lost. I think you generated your seed via an online seed generator? What happend is that the owners or hackers of those sites logged all the generated keys, they waited a few weeks until most of them had funds on them and then became a campaign logging in with each seed and stealing the funds. of each to create a new one. i have am mac i can not install the CLI wallet? i generate a new seed! but how i can start new transaction to new seed? in mac??? Okay thank you! iota is dead!!!! normal wallets generate a seed! - IOTA is one of the bigest Fails in CryptoCommunity.. do a snapshot .. back... ? ist not possible? i generate it on iotaseed.io... i think. the site is allready up! you can find your enemies. kill them please. the Admin write go to https://helloiota.com/generate-seed.html ... how i can see that this site are okay? and the iotaseed.io are not okay? it was an experiment.. it is failed. when it goes public... iota will break down. Above u see the adress that my iotas was sendrd to. Thats another adress that my 509 Iotas was send.This time it is confirmed.Have i lost my Iotas? hope you are doing well. Please help me. My Iota is stuck since over 4 months. You can see that I received iota but without any registered withdraw the amount is still zero. I did the recovery tool but the balance on the new seed is still zero. Can anyone see if I did a mistake with the recovery tool? Any help is very appreciated. THANKS!! 1. Wenn die gestohlene Transaktion auch ausgibt, wird die Transaktion in Ihrem Fall automatisch gestartet. Sie können die CLI-Brieftasche verwenden, um diese neue Transaktion durchführen zu können, die Sie in der GUI-Brieftasche integriert haben. Sie müssen Ihre neue Transaktion bestätigen, bevor die Transaktion erfolgreich durchgeführt wird. 2. Wenn die gestohlene Transaktion ist bestätigt (es wird unter die Transaktion in Ihrem Brieftaschenverlauf "Bestätigt" angezeigt), leider ist IOTA jetzt für immer verschwunden. Dies ist eine erschreckende Situation, aber hoffentlich können wir diese Erfahrung, um sicher zu stellen, Methoden zur Saatgutgenerierung zu entwickeln. Hallo, meine IOTA sind gestohlen worden, aber noch nicht ganz weg. Ich verstehe die Rettungsaktion leider nicht. Hab 'überhaupt keine Programmierkenntnisse. Yes, https://helloiota.com/generate-seed.html contains all of the currently accepted best practices by the IOTA community. Do not trust any method - the instructions on that webpage urge you to change a few characters in the seed that any program generates for you. This is the golden rule! Change 10 or more characters of any seed that's generated, and simply avoid online seed generators altogether if you can. Unfortunately if the transaction is confirmed, and your seed doesn't generate the address that now holds your balance, then yes those IOTA have been stolen. Really sorry to see this. Hey Paul, I'll answer your post in the appropriate thread (the other thread that you posted in). Thanks for reaching out.